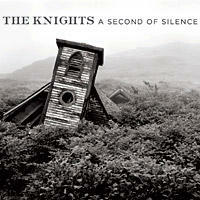 The new album by The Knights, A Second of Silence, celebrates Schubert and more modern but like-minded composers. Although it always seems fashionable to forecast the downfall of classical music, enterprising musicians both young and not so young continue to make deeply satisfying recordings. For this visit to weekends on All Things Considered, I was delighted to uncover the little known (at least in this country) Jorge Luis Prats, a terrifically talented Cuban pianist whose once uncertain career appears to be resurging — at 55, he has signed a handsome record deal. Then there's The Knights, a young chamber orchestra with a postmodern take on Schubert. They cleverly juxtapose his music with kindred spirits from the 20th and 21st centuries — Erik Satie, Philip Glass and Morton Feldman. 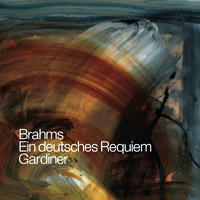 Conductor John Eliot Gardiner, now an elder statesman of the period instrument movement, takes his second shot at the Brahms German Requiem with extraordinary results. 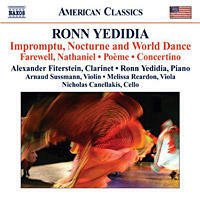 And on the lighter side, Israeli composer Ronn Yedidia writes sparkling music for a great clarinetist. Listen to excerpts from these new releases below. And if you're just joining us, you're listening to WEEKENDS on ALL THINGS CONSIDERED from NPR News. I'm Guy Raz. And it's time now for music. RAZ: You're hearing music from the chamber orchestra called the Knights, and that's spelled K-N-I-G-H-T-S, playing music by Franz Shubert. It's one of the many recordings that have crossed NPR's classical music producer Tom Huizenga's desk recently. And Tom is with me to share some of those recordings with us. Tom, it's great to see you again. TOM HUIZENGA, BYLINE: Hey, it's great to be back, Guy. I really like this little orchestral arrangement of the Shubert song. It's called "Gretchen of the Spinning Wheel." And you can you just hear that spinning wheel turning round and round. RAZ: Yeah. I hear it in the strings. HUIZENGA: And you could say that it's this theme of kind of gentle repetition that kind of propels this album right along. Let's actually listen to the piece just before this Schubert song. It's "Company" by Philip Glass. RAZ: And Philip Glass' music is also performed on this record. It does not get much more repetitive than Mr. Glass, I should say. HUIZENGA: That's true. But wait. You didn't know that Franz Schubert was also a minimalist, did you? I mean, now, keep those kind of motor-like Glass rhythms in your head as we switch gears here to another piece of Franz Schubert on the record, the opening of the Symphony No. 8. RAZ: Tom, those strings are chugging along. HUIZENGA: Right. I mean, in their own way, they're not that far off from the minimalism of Philip Glass. RAZ: That is music performed by the Knights, playing Schubert's "Symphony No. 8" from their new record. It's called "A Second of Silence." 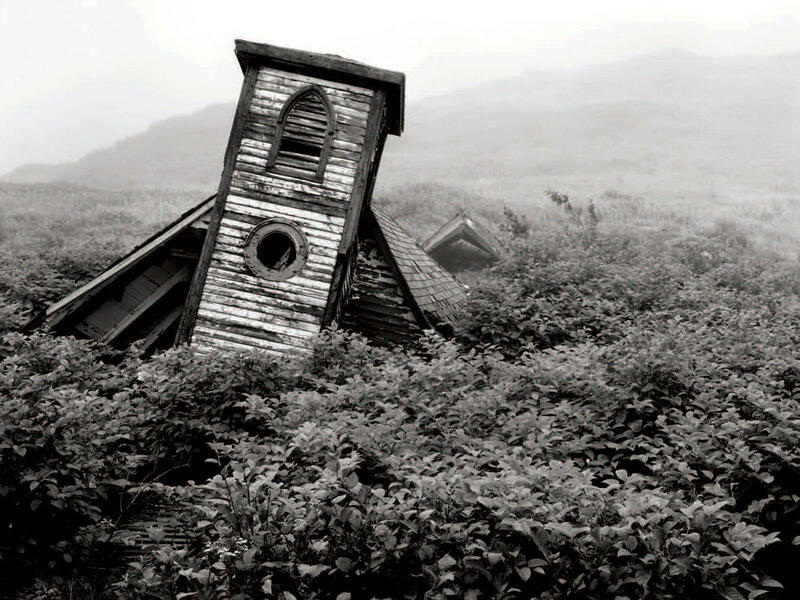 It's a new release that my guest Tom Huizenga has been listening to lately. HUIZENGA: And the Knights, they seem to be, you know, using Shubert as something of a jumping-off point, you know, pairing him with these other 21st and 20th century kindred spirits. There's music of Eric Satie on the record and of Morton Feldman. So a very nice disc. RAZ: In addition to Phil Glass, of course. RAZ: What else you've got in that pile there, Tom? HUIZENGA: All right. How about some classy clarinet playing? HUIZENGA: You know, this is a light-hearted record that kind of meanders across various classical and world genres. It's by Israeli composer Ronn Yedidia, who writes very fluently for this fabulous clarinetist, Alexander Fiterstein. RAZ: That's very nice. That's clarinetist Alexander Fiterstein with the composer Ronn Yedidia at the piano. The piece is called "World Dance." There's a little jazz going on there, some Klezmer. HUIZENGA: Right. You know, he weaves a lot through this record, including some Arabic, Balkan and even Spanish styles. And I'm usually not exactly a fan of these kinds of pastiches, but this one is really effortless, really honest, pretty irresistible. The whole album doesn't play out exactly like this. There are some more serious compositions that pull in a few more musicians, like the Concertino for strings, piano and clarinet also on the record. RAZ: That's great stuff. Tom, what else have got there for us? HUIZENGA: How about some choral singing? RAZ: All right. Yeah, I'll take it. HUIZENGA: Guy, this is the "German Requiem" by Brahms, incredible singing there by the Monteverdi Choir along with the Revolutionary and Romantique Orchestra and conductor John Eliot Gardiner. RAZ: Other than the obvious gorgeous singing here, Tom, what was it about this recording that caught your ear? HUIZENGA: Well, I just love John Eliot Gardiner's whole approach to the music. It's amazingly transparent and colorful, and it points kind of hauntingly urgent. This is the second time, by the way, that Gardiner has done this same piece with the same cast and crew, and he tries again really hard to uncover the sound that Brahms might have heard when the "Requiem" had its debut back in 1868. And for Gardiner, that means using instruments or copies of instruments from Brahms' day, like the old Viennese brass that has a lot of character. The horns can be, like, really mellow and burnished, or they can, you know, snarl. There's the shorter Viennese oboes, and the timpani, which are struck with hard sticks. And let's listen to a good example of all these kind of authentic flavors that Gardiner gets in the second movement of the Brahms "German Requiem" here as he builds this great crescendo up to the point where the chorus sings for all flesh is as grass. RAZ: That's amazing singing, Tom. That's the Monteverdi Choir with the Revolutionary and Romantic Orchestra led by John Eliot Gardiner in music from the "German Requiem" by Brahms. It's a favorite new release my guest, NPR's Classical music producer Tom Huizenga, has been listening to in recent weeks. Tom, we have time, unfortunately, for just one more piece of music that you've brought for us. What is it? HUIZENGA: OK. I've got for you Cuban pianist Jorge Luis Prats. Ever heard of him? RAZ: I cannot say I have. HUIZENGA: Well, I hadn't, either, until this disc just showed up recently, released on Decca, a major label. RAZ: This is really, really lovely, Tom. This is great. HUIZENGA: It's a bit of "Goyescas" by Enrique Granados. 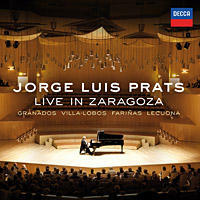 And it's like, you know, where has this pianist, Jorge Luis Prats, been hiding? And the answer is Cuba. RAZ: What do you mean hiding in Cuba? HUIZENGA: Well, being Cuban, Prats has had a little bit of a rough time maintaining a top-level career, travelling freely, visas. And this album was recorded live in Spain last year. And reportedly, it was his first big European concert in many years. He won an important European piano competition back in 1977, but now he's 55 years old, and he's landed this prestigious record deal. I mean, this, in an age when big companies, like Decca, love signing handsome 20-somethings. It's good news. RAZ: Tom, let's hear just a little more from Jorge Luis Prats. HUIZENGA: OK. Let's try a little taste of the danca movement from the Bachaiana Brasileira No. 4 by Hector Villa-Lobos. RAZ: Tom Huizenga is a classical producer at NPR Music. You can hear more from his picks today at the blog, Deceptive Cadence. That's at nprmusic.org. Tom, thanks again. HUIZENGA: Guy, it's always a pleasure. (SOUNDBITE OF SONG, "BACHIANAS BRASILEIRAS NO. 4") Transcript provided by NPR, Copyright NPR.